Ciao lovelies! 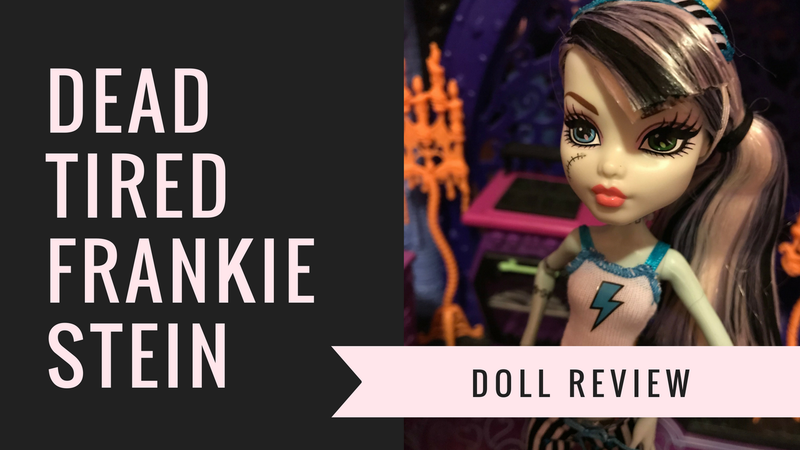 Today I'm reviewing Dead Tired Frankie Stein! 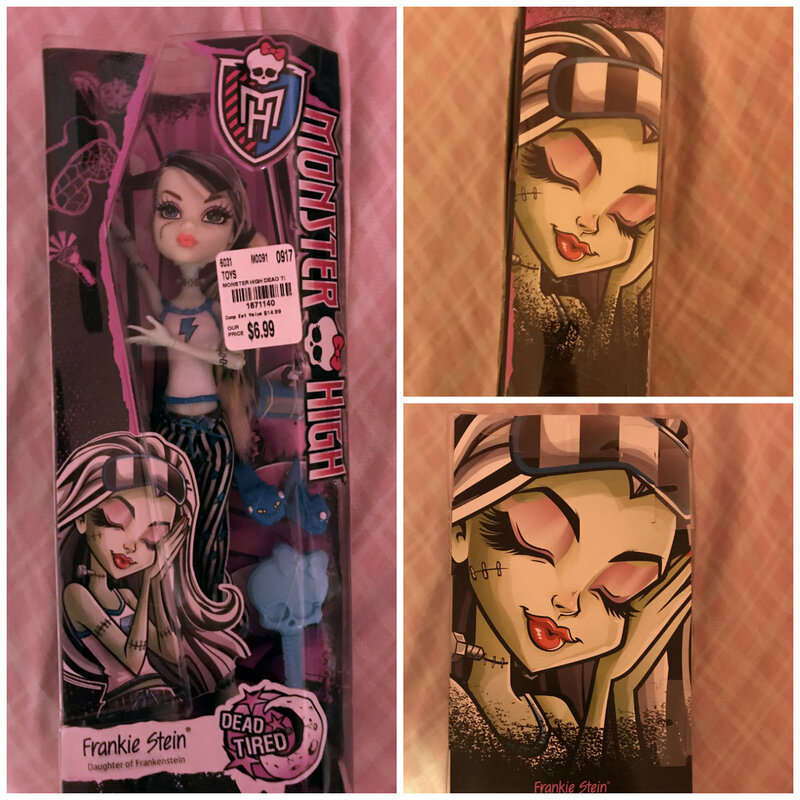 I found this doll at Tuesday Morning for $7! I immediately grabbed her up as soon as I saw her. She has the absolute CUTEST box art I've ever seen. She looks so precious and adorable! This Frankie comes with a sleeping mask (attached to her head), a tank top, sweatpants, slippers, an iCoffin and a iCoffin docking station. Yes, the iCoffin is separate and yes it is super teensy tiny!! I absolutely adore this Frankie's makeup. I think the light lipcolor and eyeshadow looks so good on her! This doll has WAY too much glue in her head, so her hair is sticky and the mask is sticky too. Which isn't a problem since I think I'm going to leave this Frankie in her original clothing. I also LOVE the cute little sweatpants! There is so much detail in them! 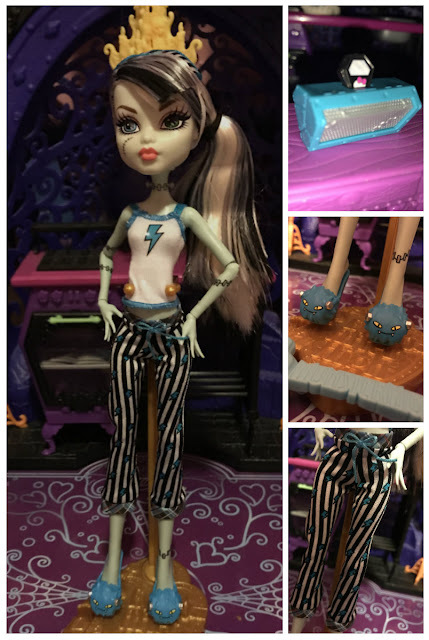 Overall, I give this doll a 4/5 (because of totally ew glue-head syndrome). But I love her! She is a must-buy!